View of the Emerald City from Elliot Bay. I think perhaps she missed the point of this highly acclaimed film. It’s been awhile since I’ve seen it, but I believe the general idea is that love can still be found in the midst of tragedy, that God never abandons us, and that in the end good triumphs over evil. She obviously didn’t agree with those ideas. Why then did I go to this professor for advice when I was feeling lost and directionless as to my major and career path? I sat in her office and told her I wanted to major in creative writing. “I could always go to law school later,” I said. “No. Lawyers are the most unhappy people I know,” she offered. With that our meeting was over, leaving me more confused than before. I had hoped for some comfort, some direction, some mom-like advice from my only female professor. Is it a surprise that I found myself dropping out of college several months later? That was such a hard and unhappy year in my life. But looking back on it 11 years later, I know that many of the decisions I made were right ones. I was right to start my college years off in Seattle. I needed to get away from home, to find a new perspective and gain distance from old relationships. And I was right to leave Seattle and transfer back to the University of Oregon, my hometown school. 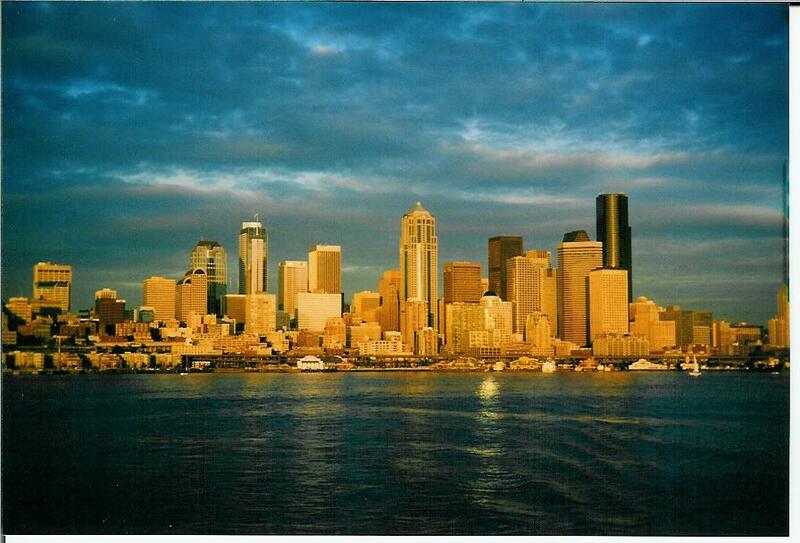 Seattle was only a brief stopping point on my journey, a place to learn a few lessons and move on. At the U of O I would reconnect deeply with my faith, meet my now husband, find a major I enjoyed, and make many long term friends. But that was sophomore year. Freshman year began with me in my glamorous big city dorm, with its 8th story view looking out over the lights of downtown Seattle. There, in my favorite city, I was lonelier than ever before. I felt like I’d jumped into an ice cold river and was struggling to catch my breath. It was too hard, transitioning from my senior year of high school with lots of best friends, to a school where I didn’t know anyone. And so after fall term I left. And I found that it’s true what they say. You can never go home again once you leave. Nothing was the same. Many of my friends had moved away for college, and those who had stayed were different. Or was I the one who’d changed? I tried to reconnect with my friends, and ended up moving in with them briefly in a horrible apartment in a west campus alley. It was a bad situation, and it didn’t last long. It was such an awful, painful year in my life. And yet I know now – God was there with me the whole time. Sometimes we need to go through painful times in order to get where God wants us to go. I guess the challenge is to affirm life – find love in the midst of tragedy – no matter what you are faced with. So with what happened to my brother Ben, that was very hard for me. That was the great challenge that God sent to our family. Maybe now I can say amen to that. Will be to know the place for the first time.